Home / EN / Motors / Volvo / Volvo Car Thailand / New Volvo MD, Chris Wailes, Leads Volvo to be the Fastest Growing Luxury Car in Thailand. 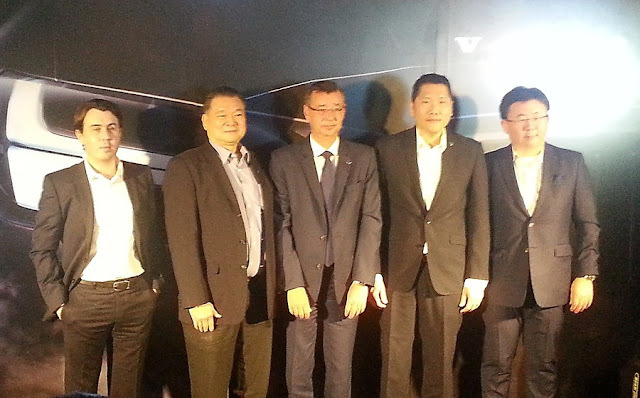 New Volvo MD, Chris Wailes, Leads Volvo to be the Fastest Growing Luxury Car in Thailand. 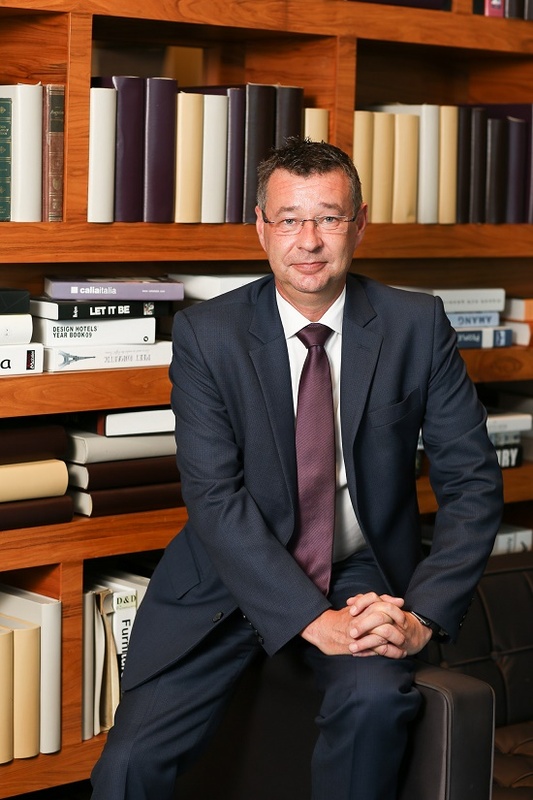 Chris Wailes, Managing Director, Volvo Car (Thailand) Ltd., revealed, “Volvo is the world class luxury car brand from Sweden, with a long history of over 90 years. With the potential and strength of our global leadership in safety innovation that works to protect every life on the road, Volvo has become the trustworthy brand worldwide. In Thailand, we are ranked as number 3 within the luxury car segment. Our ambition is to make Volvo the fastest growing premium car brand in Thailand. This is definitely a challenging mission which will drive our profitable growth by providing a class leading customer experience in Thailand. We now evolve in a totally new way to purchase product and services. Customer behavior is changing, people shop differently now. More and more people are shopping online and using their smart phones. To manage this new market environment, Volvo Car Thailand will enrich the buying experience with new online technologies, we will be closer to our customers with a high focus on customer service at both retail and customer service with high retailing standards through display and customer interaction. Sales strategy. Our target is to become the number one brand in customer satisfaction, with world class service, provided through our dealerships. This year, we adjust our sales strategies and we will develop a stronger proximity to Thai customers by appointing two new dealers in Bangkok which are Prestige Motorcars Co., Ltd. and Merck Auto Co.,Ltd. These new showrooms will be located on Wireless road and Chaengwattana road, designed on Volvo Retail Experience (VRE) concept showrooms. The VRE concept is in accordance with the principles of the Volvo Retail Experience which as part of the Volvo Car Group's transformation since the start of 2014 has become the worldwide standard for the design of all Volvo partner companies. The showroom space provides a new concept for displaying Volvo models as well as a comfortable lounge, coffee bar and other exhibition items. Customer service strategy. At Volvo, we adhere to our strategy in customer service as our core. This year, we initiate ‘Volvo Personal Service” (VPS) Volvo Cars’ new concept is based on the 3 core sectors: Personal Service Technician (PST), Multi-skilled Team (MST) and Lean Management (LEAN). in order to increase efficiency. Volvo is the first in the automotive world to take an entirely new approach to how service and repair is performed in the workshop. Volvo redefines car maintenance, an area where the way of working hasn’t really changed for decades. The launch of VPS complements and upgrades Volvo’s after-sales service including a series of initiatives, aiming to provide customers with high-quality and time-efficient service in a more professional and unified manner. With the new way of working, the Volvo workshop will be able to reduce the lead times to less than half, which will also lead to more satisfied customers. Instead of one technician working on the car, several technicians work together as a focused team – like in a racing pit-stop. In this way, the work can be done more efficiently and always 100% correct from the start since routines and quality checks are foolproof. In addition, all customers get their own Personal Service Technician who is dedicated to them and their car. Since the job takes so short time, customers can wait while it’s done, and spare themselves the trip from the workshop and back. Instead they can relax in a comfortable lounge, have a coffee, read a paper or perhaps go online with their laptop via the free Wi-Fi. Or take a stroll in the showroom, test drive a new model or discuss their car ownership with the dealer personnel. Last but not least, we also plan to train all employees to understand the brand, as well as the technical knowledge that will be beneficial to customers, to create confidence and gain their trust from their first steps into the show room. Marketing & Product strategy: Volvo cars is recognized to be a company with purpose from a global perspective, Everything we do starts with people. We understand people. We protect what’s important to them and want to make them feel special. We take pride in our role within society and recognise our commitment towards the environment. We innovate to make people’s lives better and less complicated. Our human-centric focus is what makes us different from all other car companies, and it is at the heart of everything we create. This new brand direction We Go Forward, For You is supported by a very dynamic product portfolio management with the launches of the new luxury sedan S90, the launch of the premium estate the new V90 and very recently in August 2017 with the launch of the new S90 T8 Twin Engine AWD plug-in hybrid delivering 407 hp. The launch of the S90 Twin Engine AWD plug-in hybrid is a crucial milestone to demonstrate Volvo Car Thailand commitment to bring very rapidly new Volvo models powered by electric engine to Thai customers. To improve our Brand awareness, we launched a powerful Marketing campaign highlighting how powerful and pure the T8 Twin Engine plug-in hybrid can be with a specific campaign direction Pure Power and the #s90t8 at the center as our campaign as facilitator for consumers to share our message. This Marketing campaign responds to the way people consume communication and will highly digital to bring them to our new website and new car configurator. WE want to make people life easier for our customers and are determined to provide the most intuitive purchasing experiences, through digital leadership of our website and e-commerce. 2018 will be very exciting for Volvo Car Thailand with numerous new models launches and innovative Brand activations. We want to bring to Thai customers the best of the Volvo Way. Mr. Chris Wailes has been working for Volvo Cars for 28 years. 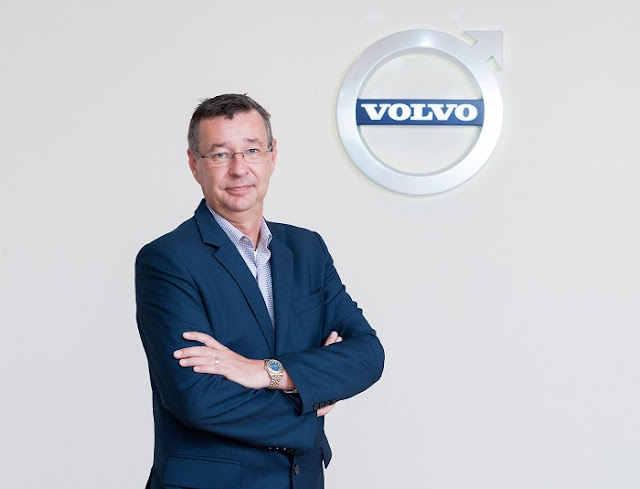 He first joined Volvo in 1989 as a car sales executive within a UK Volvo dealership and rapidly became Dealer Principle before joining Volvo Cars UK from 2001-2007 as a Regional Dealer Performance Manager. He was responsible for the Leadership and Performance Management of 20 Dealerships. From 2008 to 2012, he was appointed as UK & European Product and Pricing Manager for Volvo Car Corporation for the delivery of product and offer propositions across all car segments to develop new volume channels and improve performance of 78% in just one year. In 2012, as a Market Manager for Volvo Car Corporation, he managed to launch the world’s first Diesel Plug in Hybrid car, working hands on with various European Markets to establish the product offer, the product positioning and also commercial and technical training. This resulted in the first year’s production volume being sold out prior to the first car being built. 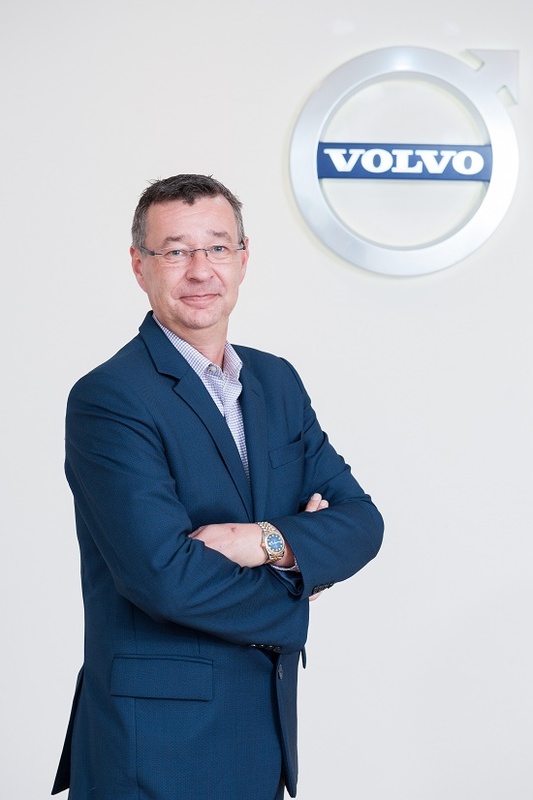 In 2013, he was promoted Global Product and Carline Performance Director for Volvo Car Group base in Gothenburg-Sweden, responsible for Global carline performance on a country level and for global product from new model launch to lifecycle management as well as being involved with various product launches. In 2015, Mr. Chris Wailes was appointed as Market Area Director for Asia Pacific based in Shanghai China. He was responsible for all commercial country operations and set up new businesses in Vietnam, Myanmar, Indonesia and Sri Lanka and 2 years operational performance growth in existing markets in excess of 20% per annum. In his latest position as a Market Area Director for region APeC he have had a full scope business responsibility for his markets. And now we are pleased to announce him as Managing Director of Volvo Car (Thailand), effectively from 1st June 2017.